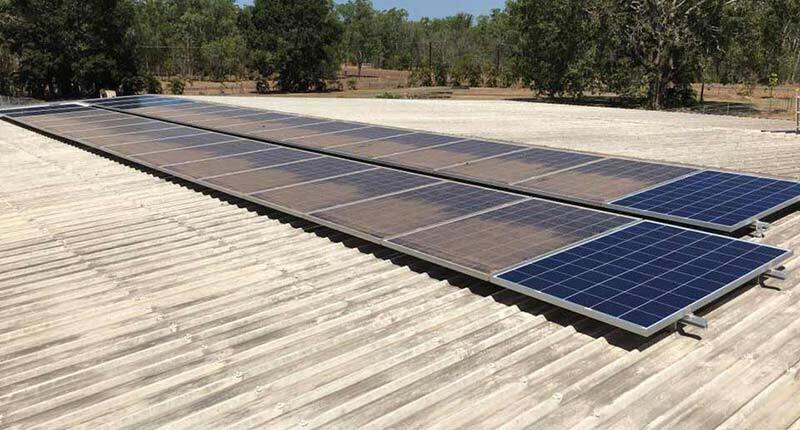 With many years of service to the Darwin community, Territory Solar Solutions is leading the drive for independent power in homes and businesses throughout the region. Our locally owned and operated electrical business is primarily focused on providing a range of self sufficient solar power solutions. We want to help our customers make the switch to renewable energy with minimal risk and the greatest possible return on their investment. Husband and wife team, Russ and Eddie established Territory Solar Solutions a few years ago, but have already gained a reputation for great service and workmanship. Eddie Shearer is our accounts and Officer Manager, making sure every aspect of the business runs smoothly and every customer receives friendly and personal service. Russell Eagles is the Territory Solar Solutions’ Managing Director, but he works hands-on with every job. You’ll usually find him on a roof installing panels or providing comprehensive quotes and expert advice. Russell has almost 20 years’ industry experience as a qualified NT electrical contractor. Recently our dedication to solar installation services has been recognised with an accreditation from Clenergy. For more information about our solar services or electrical work, call Russell or Eddie any time.